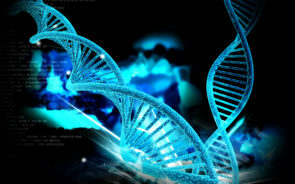 DNA DETECTIVES IN THE NEWS from The DNA Detectives on Vimeo. NBC’s Today Show reports on cold case arrests resulting from Genetic Genealogy methodologies. More arrests in decades old cold cases thanks to CeCe Moore, GedMatch and Parabon Nanolabs. CeCe Moore’s work with Parabon Nanolabs produces arrests in two decades-old cold cases thanks to DNA methods developed by CeCe Moore. ABC 20/20: CeCe Moore reunites three sibling foundlings – and then – reunites them with the mother who abandoned them! CeCe Moore’s DNA Detectives solves 11 year old Benjaman Kyle case! Benjamin Kyle 11-year mystery finally solved by the DNA Detectives. from The DNA Detectives on Vimeo. 50-year old Paul Fronczak baby abduction case solved by CeCe’s Moore’s DNA Detectives! ROOTS 210 With CeCe Moore from The DNA Detectives on Vimeo.